About - Patterson Hardscape & Supply Co.
Rich and Susan Melendez purchased Patterson Block, Inc. in 2011, renaming it Patterson Hardscape and Supply Company, and bringing a wealth of hardscaping experience. Rich was a masonry contractor and hardscape installer for over 35 years. 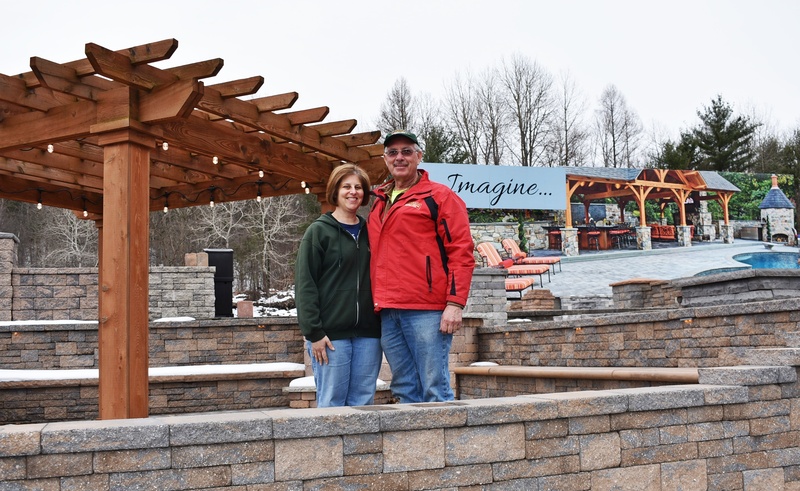 He now is the lead sales person at Patterson Hardscape, and is eager to share his knowledge with homeowners and contractors alike. Rich will give the customers the time they need to understand their project, asking questions about potential issues that they often had not thought of. Sometimes after talking with Rich customers decide their project is too difficult to tackle themselves, and Rich is happy to match them up with one of our many loyal contractors. If the customer decides to take on their own project, Rich will guide them with appropriate advice. Rich also conducts free installation seminars each spring for wall and paver projects. Rich and Susan are hands on owners, and are at Patterson’s every day. They enjoy meeting their customers and work hard to make each project a success. In addition, there is a wonderful staff of salespeople, yard help and drivers to make doing business with Patterson’s a pleasure. One key feature of Patterson Hardscape is the indoor and outdoor displays. Easily the largest display in Northeast PA, customers can see most of the products offered installed throughout the property, and not make their choices for catalogs or a couple sample pieces. Many customers have come to Patterson’s thinking they know what they want, only to change their minds when they see the products in person. A visit to the displays is well worth the time.